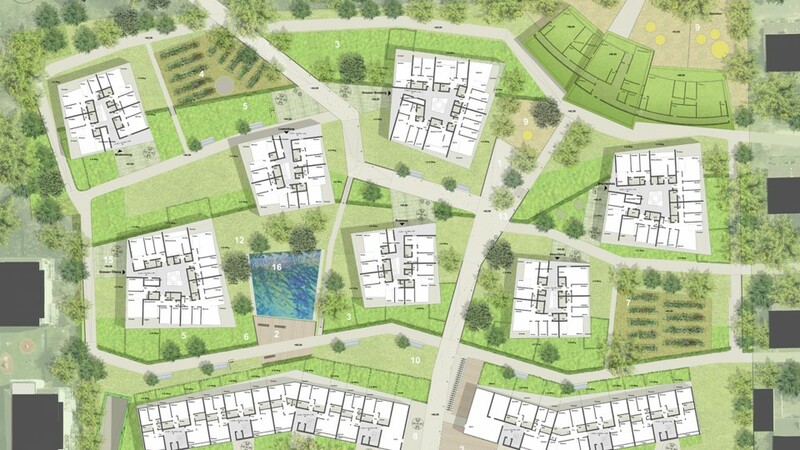 Limited urban architectural design competition in collaboration with RAU, Amsterdam. 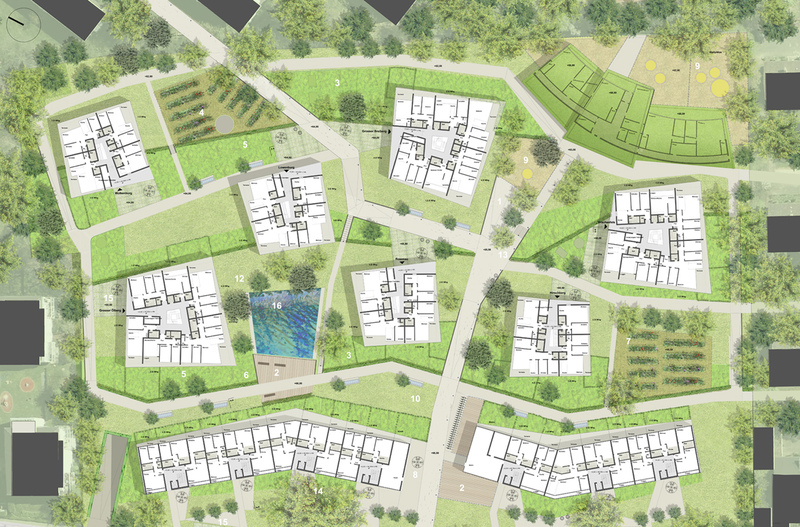 On a plot of ​​27.000m2 a family-friendly residential development with approximately 250 living units, a nursery school and a park area is developed. Two angled, polygonal blocks shield the park-like interior from the busy main road. 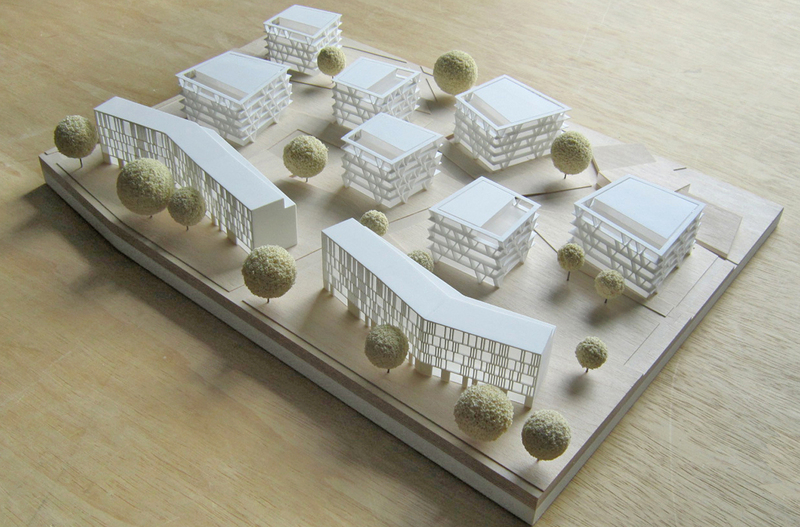 Seven other residential buildings are planned as solitaires in the park. The rotation of the structures is arranged to allow for maximum exposure to the sun. 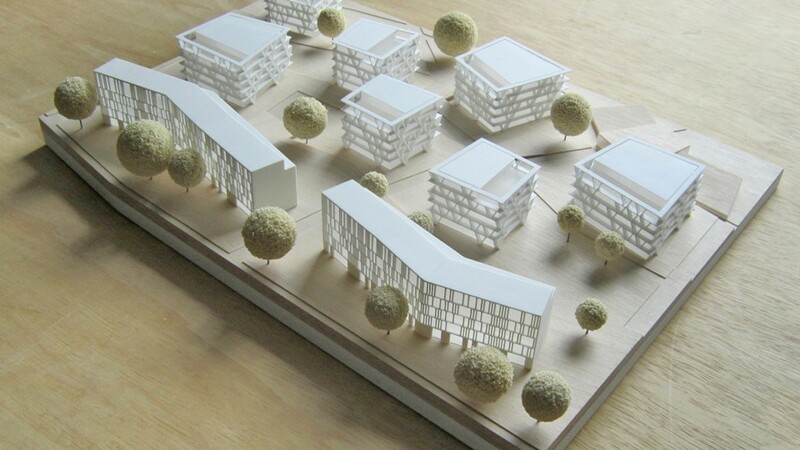 Different building typologies give rise to a wide variety of apartment sizes and layouts. Characterized by materials such as wood, glass and concrete, combined with the dominantly green landscape design, the new residential development offers a high quality of living.